Taka is the representative partner at Cita-Cita International Patent Firm, established in 2016. His handling services are not only patent prosecutions, oppositions and expert opinions, especially in the fields of mechanical and electrical engineering, but also consults with inventors and clients and counsels them on procuring and enforcing worldwide intellectual property rights. 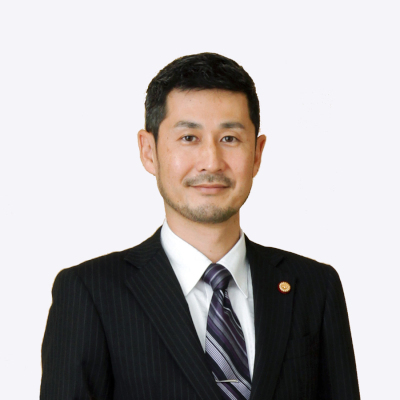 He is a member of the JPAA(Japan Patent Attorneys Association), INTA(International Trademark Association) and APAA(Asian Patent Attorneys Association). He received his B.S. in Engineering from Ritsumeikan University in 1996. Following his graduation, he worked for a semiconductor manufacturing equipment manufacturer as a mechanical designer for semiconductor manufacturing equipment, subsequently for an automaker as a consultant for introduction of equipment for research and development, and then for a gaming machine manufacturer as a managing specialist for intellectual property. After having worked in the companies, he joined Meisei International Patent Firm in 2002. He was registered as a patent attorney in 2003 and the supplementary note of specific infringement lawsuit counsel was registered in 2005. Conducted litigation and prosecution of patents and trademarks. Received practical training at Sughrue Mion PLLC, Washington D.C. in 2007. Conducted introduction of equipment for research and development. Conducted design for semiconductor manufacturing equipment.